Z came to visit over Martin Luther King weekend and we decided to head down to Savannah for a day. I had been there once before but it was the weekend I met Ahmed so it didn't really count because my attention was elsewhere. Historic Savannah is surprisingly small and could be walked in a few hours. Most people start at the visitor center because of the free parking and make their way to the river. We started by Colonial Park Cemetery and walked in a rectangle. The cemeteries in Savannah are beautiful!! 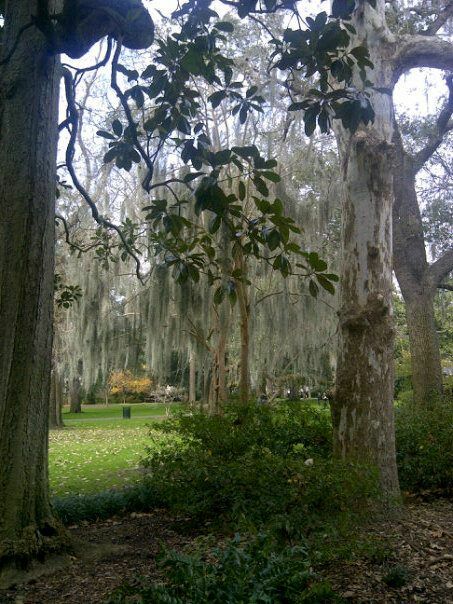 The Spanish Moss trees and beautiful arch entrances gave it a wonderland like feel even though you are in a graveyard. Because we were in the South, we were craving delicious fried chicken and wanted to go to Mrs. Wilkes Dining Room but everything seemed to be closed for MLK day so instead we opted for a yummy healthy lunch at Matthews on Bay St. Bay St is right by the water and from there you can access stairs that go down to river st which is on the water. River street is filled with tacky souvenir shops but it also has AMAZING candy that you can only find in Savannah, pecans covered with chocolate or caramel. I got some for my mom because she loved them last time. City Market pops up as one of the top things to do and is basically another large square with souvenir shops. Sometimes you can find local musicians here but one great thing about the square is the art galleries. They are all connected and have everything from landscapes to abstract to modern art. 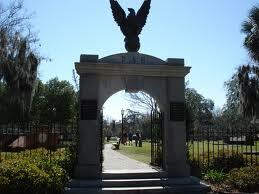 Next we made our way through SCAD's campus and onto Forsyth Park. The park is a great picnic area and of course there is beautiful Spanish Moss everywhere. Then there is the Cathedral of St. John the Baptist and you can basically see its spires from anywhere in the historic district. We didn't explore the museums but there are at least 3 including the Telfair Academy and you can also visit galleries that house works of SCAD students. Z is a fan of Midnight in the Garden of Good and Evil and so we also visited Bonaventure Cemetery. Savannah is a great weekend destination because there are just the right amount of things to do without feeling overwhelmed.